LP version. Includes download code. From an artist in their seventies, you probably wouldn't expect to hear an album like this. 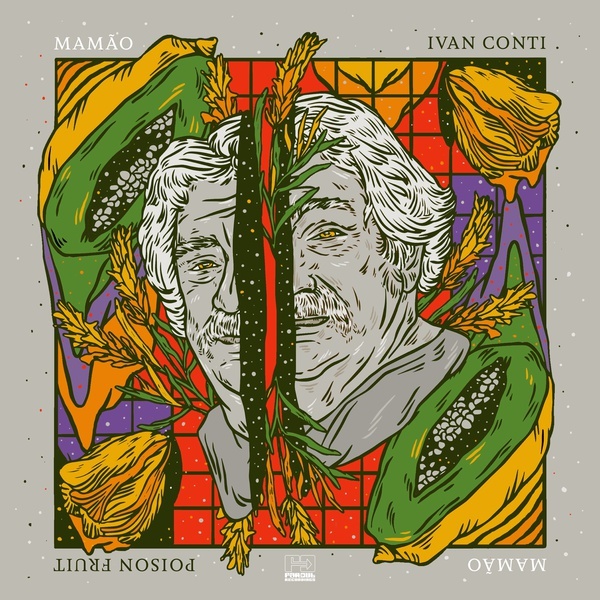 But Brazilian drumming legend Ivan "Mamão" Conti has been experimenting and innovating for the last half a century. As one third of cult Rio jazz-funk trio Azymuth, Mamão was at the root of the group's "samba doido" (crazy samba) philosophy, which warped the traditional samba compass with jazz influences and space age electronics. Even with his lesser-known jovem guarda group The Youngsters, Mamão was experimenting with tapes and delays to create unique, ahead-of-its-time sounds, way back in the sixties. 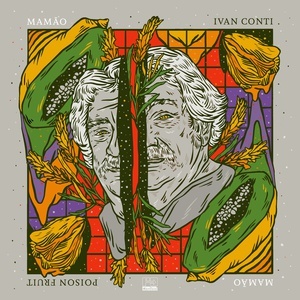 More recently Mamão recorded an album with hip-hop royalty Madlib under the shared moniker Jackson Conti. With his first album in over twenty years, and the first to be released on vinyl since his 1984 classic The Human Factor, Mamão shares his zany carioca character across eleven tracks of roots-y electronic samba and tripped-out jazz, beats, and dance music. Featuring Alex Malheiros and Kiko Continentino on a number of tracks, the Azymuth lifeblood runs deep, but venturing into the modern discotheque (as Mamão would call it), Poison Fruit also experiments with sounds more commonly associated with house and techno, with the help of London-based producer Daniel Maunick (aka Dokta Venom) and Mamão's son Thiago Maranhão. Take a bite of Mamão's psychoactive papaya and join the maestro on a weird and wonderful stroll through the Brazilian jungle.